You might be wondering what you’ll find if you come along to a meditation class. Will people be wearing robes? Will you have to sit on the floor? You won’t find monks and nuns at our classes – just ordinary people. You don’t need any special clothes, equipment or experience and you can choose whether to sit on a chair to meditate, or on a cushion on the floor. 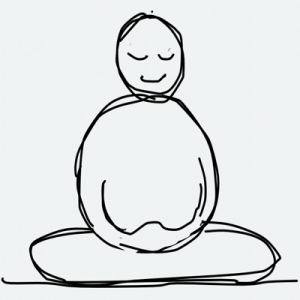 Most classes start with an explanation of calm-abiding meditation. The group leader will help you focus on your breathing and let go of your thoughts. 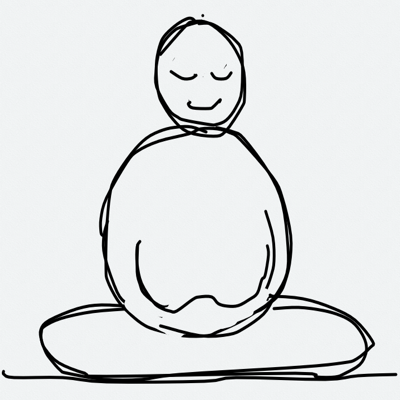 There will then be a period of silent meditation, for about 20 – 30 minutes. Please don’t worry about having to sit still for so long! People often shuffle about to get comfortable. After the meditation, there is usually a short talk about a basic Buddhist concept, followed by questions and discussion. Don’t be shy about asking questions, but if you’d rather just listen, that’s fine. The meditation classes are open to people of all beliefs or none – you don’t need to be Buddhist. At our main centre, Kagyu Ling in Manchester, classes are held in the shrine room where there are statues and wall hangings. You might see some people who are already Buddhists bow down in front of the statues at the start of the class, to show respect. But please don’t worry – no-one will expect you to do this. Some sessions begin with a short ‘refuge prayer,’ usually in English, but sometimes in Tibetan. Buddhists say this prayer before any meditation practice to help focus, but you won’t be expected to join in. Sessions are held in community buildings which are generally accessible. Kagyu Ling has a ramped entrance and an accessible toilet. There are bike racks, and plenty of parking space. How many people will turn up? This can vary – sometimes there might be just a handful of people, while other classes might attract 15 or 20. We have no paid staff and our income comes entirely from donations. Most of our classes are free of charge (unless we are renting the space) but we generally suggest that participants make a small donation (typically £3) towards our running costs if they can afford to do so. To get a feel for the classes, check out this short video about Kagyu Ling, in Manchester. Email Manchester@dechen.org with queries about any of our classes, or phone 0161 850 4450.